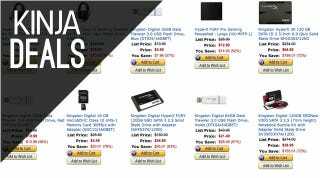 Amazon has put a variety of Kingston gear on sale today, and we’ve thrown in more storage deals for good measure. Stock up. Tell us what you’re adding to your collection in the comments.